A simple but smart menubar weather app. 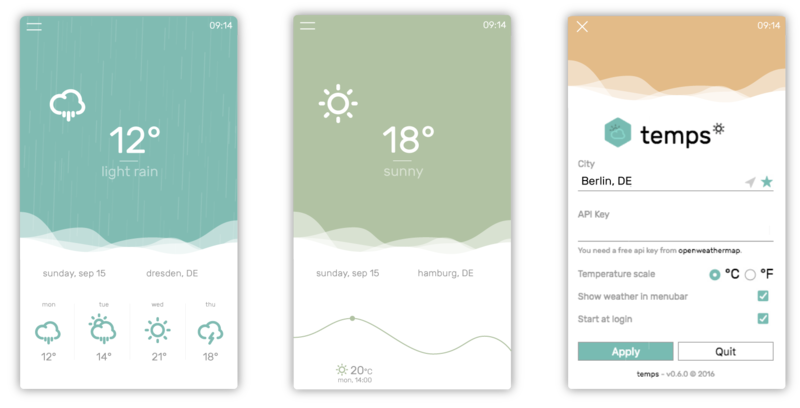 A simple but smart weather app. 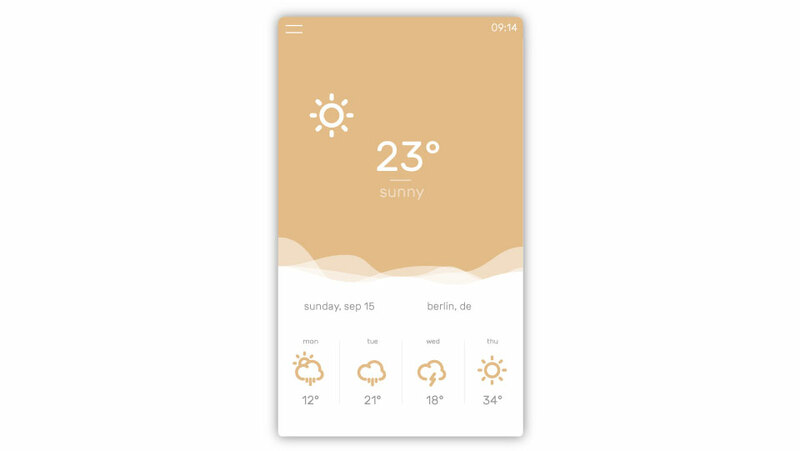 Temps is a modern and minimal menubar application based on Electron with actual weather information and forecast for Windows, Mac and Linux. Builds app binaries for OS X, Linux, and Windows. You can download the latest stable version of Temps for Windows, Mac OS and Linux. You need a free API Key by OpenWeatherMap to fetch weather information. Because of this is a non-profit project, I&apos;m not able to offer unlimited access to weather information by myself. For the start you can use the built-in key to get the weather data. But it can be possible with heavy data traffic, that the service isn&apos;t available for this key all the time. The apps are also not signed for now. So you need to grant usage by the system to run the app. The weather icons are made by myself. If you like to use them in your own project, you can find the icons on Github or Noun Project. Copyright (c) 2016 Konrad Michalik, This software is licensed under the MIT License.